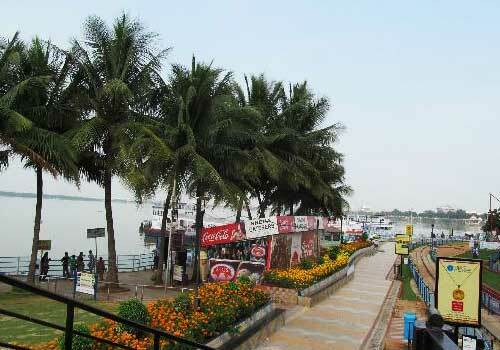 One of the famous Hyderabad tourist places, Lumbini Park Hyderabad was developed by the Hyderabad Urban Development Authority in the year of 1994. Perfect place for relaxation and amusement, Lumbini Park has been named after birthplace of Siddhartha who later came to be known as Lord Buddha. The park is part of the Buddha Purnima project of Hyderabad Urban Development Authority. 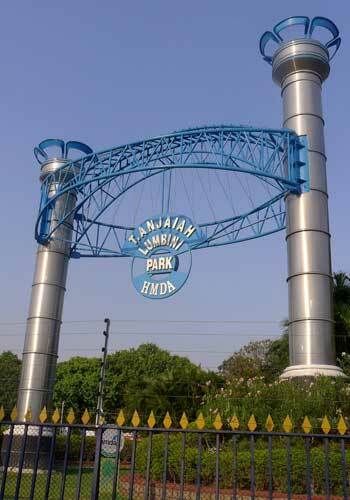 After the later Chief Minister of Andhra Pradesh, this park was renamed at the T. Anjaiah Lumbini Park in the year of 2006. 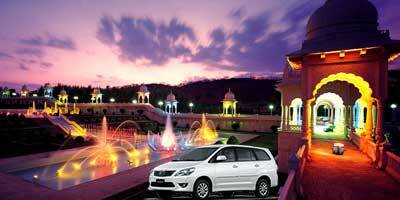 However, popularly it is still known by the name of Lumbini Park. Situated quite close to the famous standing statue of Lord Buddha and Hussain Sagar Lake, the largest artificial lake of Asia, the Lumbini Park is a place worth visiting. An apt place for relaxation, this park is visited by everyone. It is quite popular among kids. For kids, there are fun rides. It is more like a mini entertainment park right in the middle of the city, by the side of an beautiful lake. One of the main attractions of the Lumbini Park is the giant clock at the entrance of the park which has been designed using various kinds of colourful flowering plants. Along with seasonal flowering plants, wide variety of cacti and rocks, the park also has many options to keep kids entertained. The Musical fountain and water cascades attract everyone. The sight of water shooting up to the sky, making a screen of water where the history of Hyderabad is being shown is something not many of us have seen before. It is an experience in itself. The best part of laser show is that just 3D. You will see a city created in 3D right at a park. 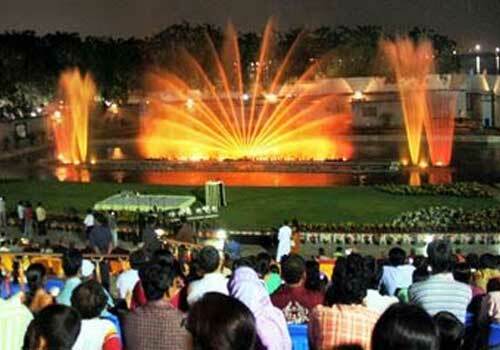 Musical fountain and the laser show at the Lumbini Park is something not to be missed. The timing of the musical fountain is from 6.30 P.M. and 8 P.M. As for Lumbini park laser show timings, it happens twice, at 7.15 pm and 8.30 pm. 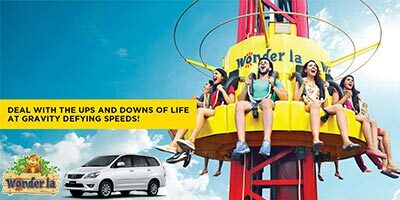 From the park, one can also go for boating at the Hussain Sagar Lake and to the Buddha Statue in the middle of the lake. For boating there are two choices available for the visitors. If interested you can hire a speed boat at Lumbini park and enjoy an exciting ride in the lake. You will be offered life-jackets so safety is not a worry here. 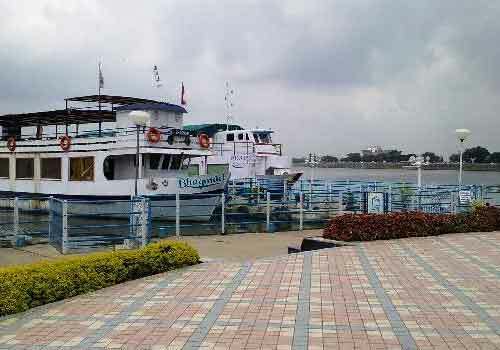 Other option is the ferry ride, which takes tourists to the massive statue of Lord Buddha in the middle of the Hussain Sagar Lake. 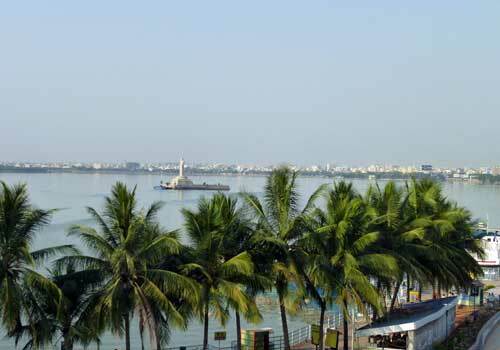 Lumbini park also enjoys a good location as it is surrounded by the state Secretariat, the Hussain Sagar Lake and the famous Birla Mandir. Lumbini park timings are from 9.00 A.M. to 9.00 P.M on all weekdays except Mondays. For an enjoyable evening, by the side of nature this is one of the best places in the city. A refreshing break from the malls and movie halls, Lumbini Park offers a setting where you can laze around; a perfect place to spend some quality time with your loved ones. I usually take my kids there. They love going for rides at the park, while I and my husband just sit and enjoy a relaxed setting. As you enter the park, there are some stalls for you to buy some pastime snacks to munch. The best thing is it is in the middle of the city…you will not find any problem in reaching Lumbini park ..autos and even buses are there. As the Lumbini park timings are till 9 pm..you can come even in weekdays. 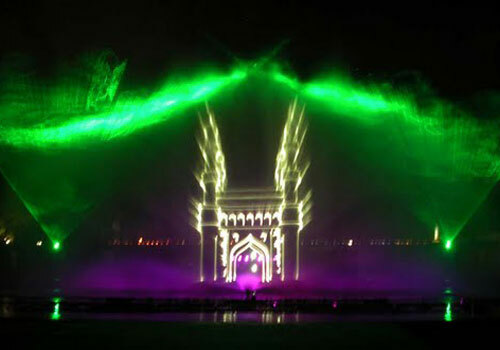 What I like the most about Lumbini park Hyderabad is its laser show! It plays a movie of nawabs of Hyderabad in 3D! The show is just awesome and quite cheap too so you can just drop by and enjoy the show without having to worry about the cost. For Lumbini park laser show timing you can check online...we went on Sunday when the show was at 7:15 pm and then a second show at 8:30 pm. Lumbini park Hyderabad is one of the best place to go on weekends. It is near Tank Bund. It has lots of options for kids. I go there often with my kids. There are rides for them..and a lot of open spaces to play and run around. The rides are not hi-end but good enough for my kids to enjoy. There is also a boating option..it takes you to the Buddha statue in the middle of Hussain Sagar Lake. If you are planning for boating then get exact lumbini park boating timings or else you will end spending time in just waiting. 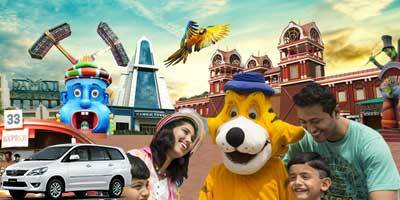 Lumbini Park is undoubtedly a hit among families, especially those with kids. I have heard a lot about it from my colleagues so decided to go there with my friends. Its like a picnic spot but ya its crowded. So if you want to go sit and relax...better go to parks like Hyderabad Botanical Gardens or KBR Park. For us, it was a good change with lots of activities everywhere like a fair…there are rides for children…we tired boating at the Hussain Sagar lake too. There was a laser show too…which I have heard is quite good...Although we couldn’t see it…And yes for entering you have a pay a minimal Lumbini Park entry fee. It is opposite to the secretariat and in the year of Lumbini Park. this park is not only a park..with just green lawns..it has lots of activities to do for both adults and kids..thats why I like this park. I had gone there last time on my visit…I go to hyd often for my work..but had never gone to this park. I am glad that I decided to explore it. It was amazing to see how everyone at the park was enjoying themselves…there were families..who were just sitting and chatting..kids were the happiest on rides. I personally liked boating the most..even better than the famous lumbini park laser show! 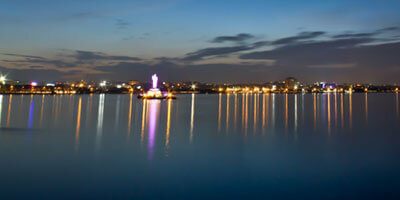 Ofcourse Hussain sagar lake smells little odd..but sight of the statue of Buddha which is lit at night was sheer beauty! There were many families who has come with their kids. Kids were seen trying many rides. its equally good to sit and just relax. I went there alone and had good time observing people. 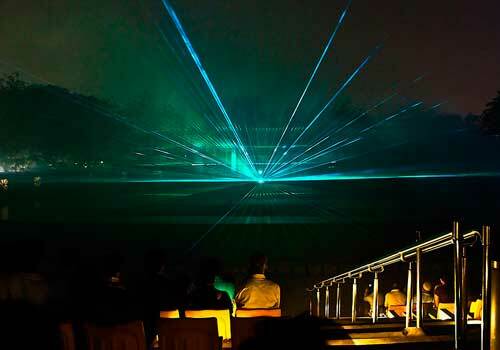 Laser show at lumbini park is good too. I loved the way musical fountain goes hand in hand with the laser show..and the story telling. 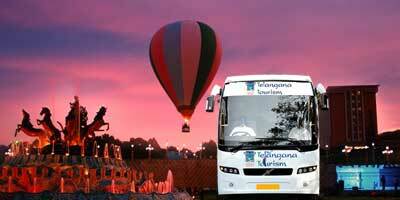 For visiting you need not worry about lumbini park hyderabad timings. Its open from 9 am to 9 pm everyday..except on Monday.